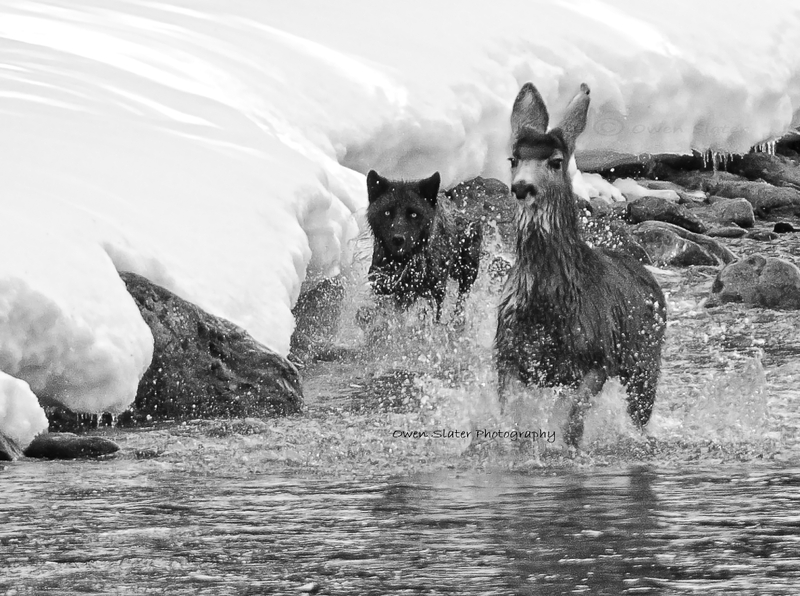 The Bow Valley is dominated by human presence and infrastructure that the wolf pack must navigate on a daily basis. Of the 7 pups born into the pack last year, 6 died due to either train or motor vehicle accidents. 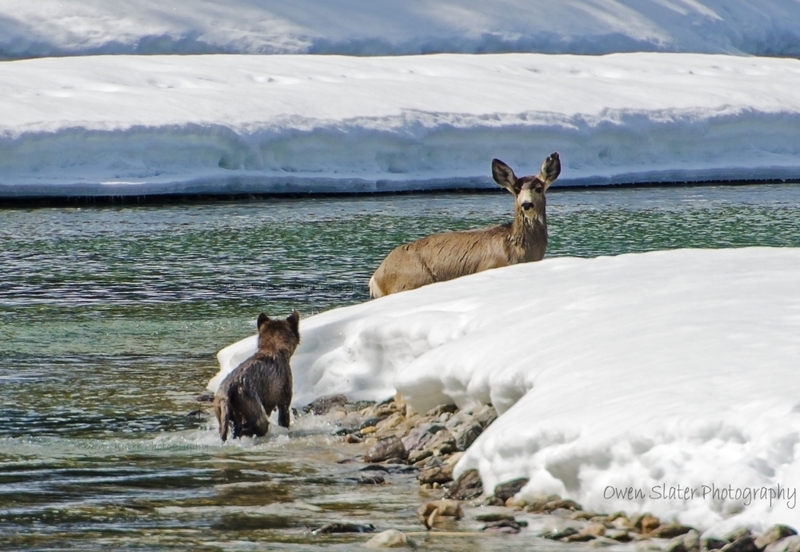 As the summer has progressed, this years litter of wolf pups are now spending all their time on the go with their parents and the yearling sibling, learning the ropes of the Bow Valley ecosystem. It won’t be easy for them to survive in this environment but so far four have managed to make it past the first few months and are quickly learning the lessons required to survive. 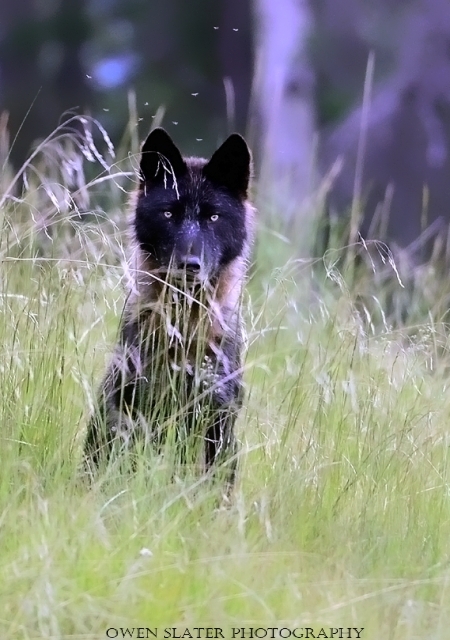 It is relatively common to see black wolves in North America, but that was not always the case. In fact, the black colouration is actually, in evolutionary time, a recent coat colour inherited from none other then the domestic dog some 10,000 to 14,000 years ago. 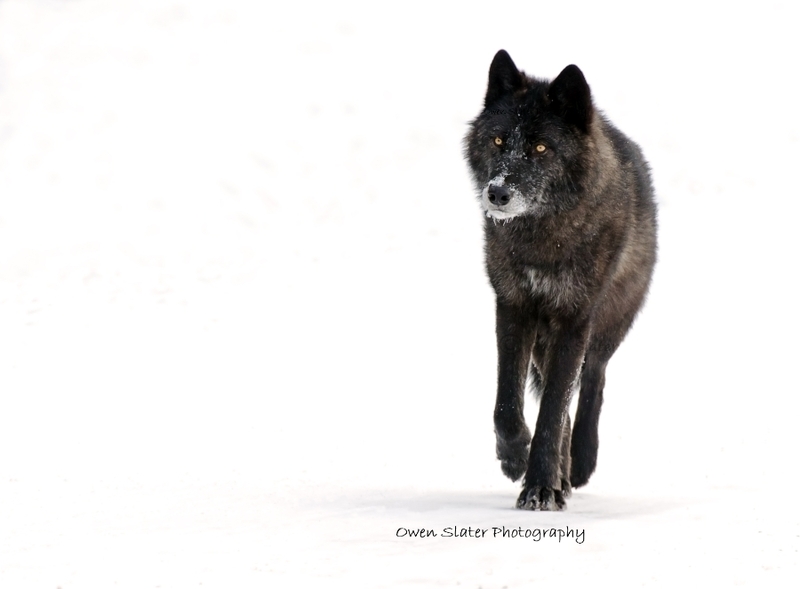 Genomic studies have shown that prior to this time there were no black wolves. 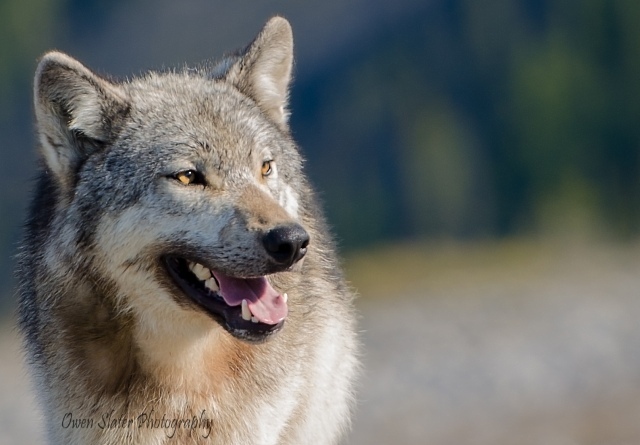 However, this trait was common in dogs and through breeding between the two, this gene has since been incorporated into the North American wolf genome and has provided these wolves with an adaptive advantage. What that advantage is no one really knows. 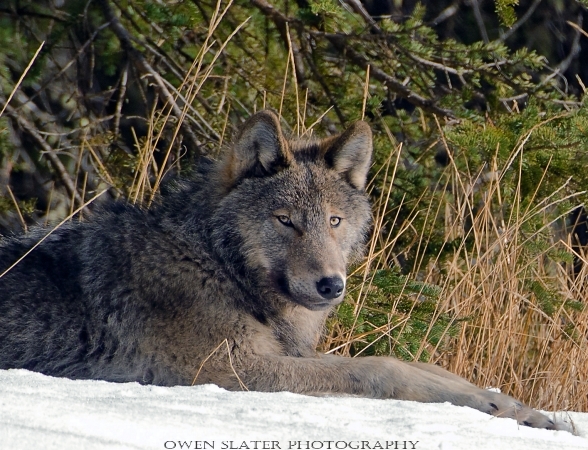 Theories include improved camouflage, which doesn’t hold a lot of weight when you consider that wolves are not ambush predators. Another is that black colouration is linked to other genes that enhance immune function, which would provide these individuals with an obvious advantage. 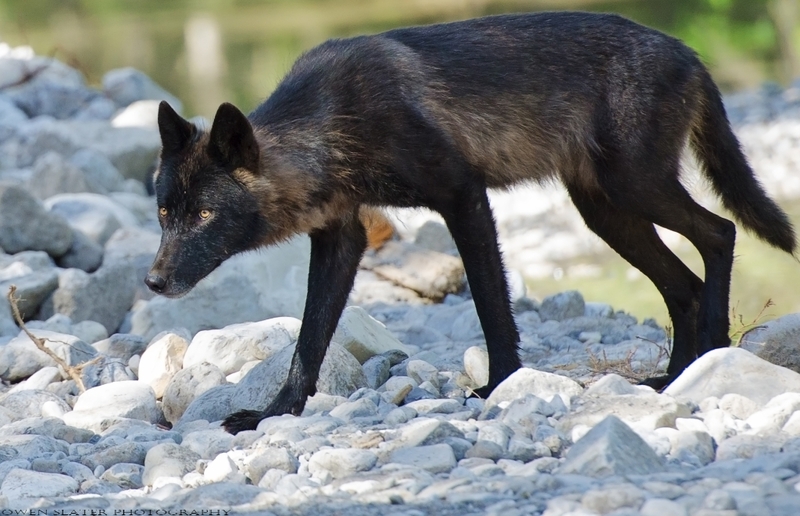 However, this theory has holes as well because there aren’t any black Arctic wolves, which you would expect if black colouration provided such a clear immune advantage but. 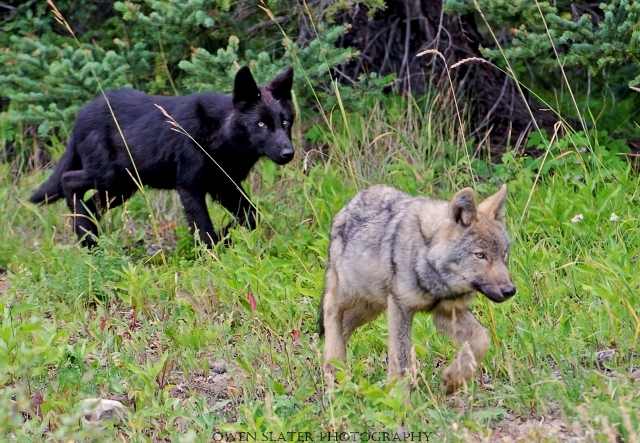 Whatever the reason, Banff National Park has one of, if not the highest proportion of black wolves anywhere. 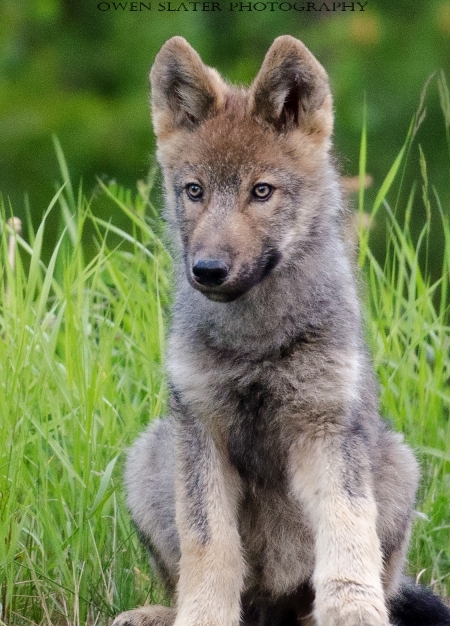 This black wolf pup is one of six pups born this spring in Banff National Park. Of those six pups, five are black. Over the past few weeks it has become clear that more education is required for people travelling to wilderness areas. Seven black bears and three wolves have been killed on the Trans Canada Highway already this summer. While some of these were likely unavoidable, speeding has played a large part in many of these deaths. 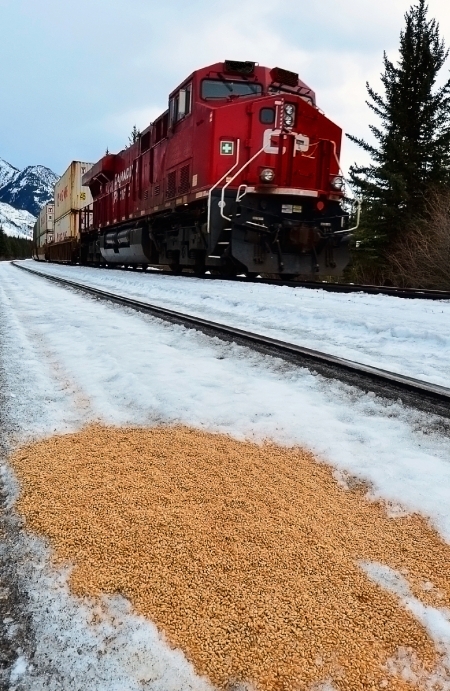 Just recently someone was clocked speeding at 203km/hr just outside of Banff where the speed limit is 90km/hr! Posted speed limits on the Bow Valley Parkway (aka 1A) are much slower but are rarely followed even when wildlife warning signs are posted. 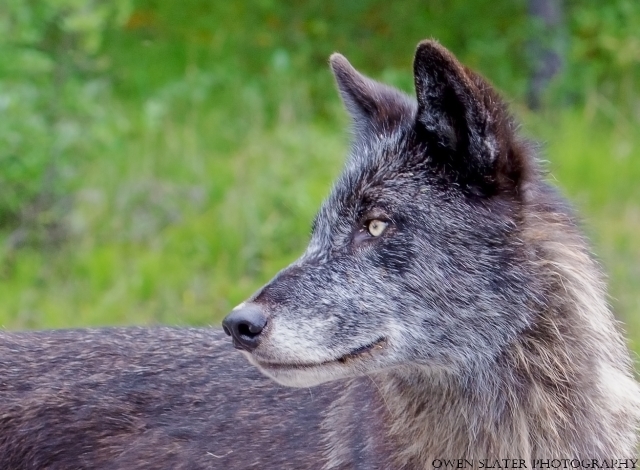 Even more concerning are the number of reports of bears and wolves being fed by people. 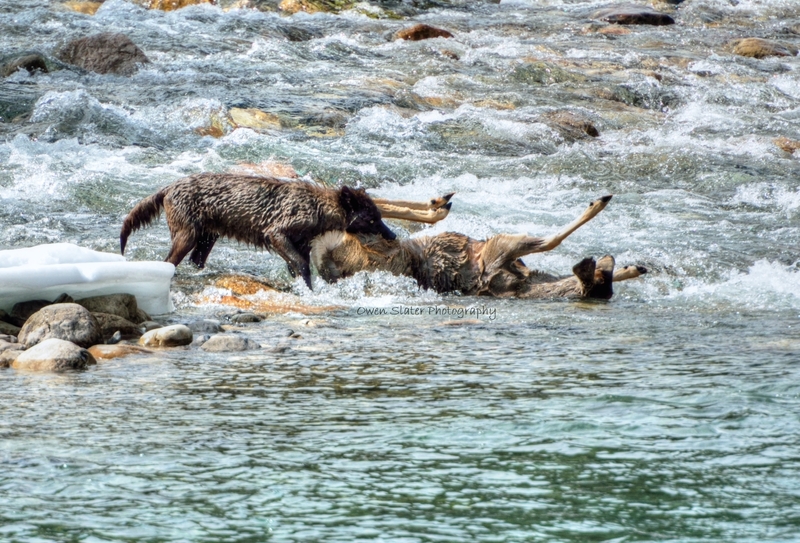 This was sadly highlighted earlier this week when a wolf in Kananaskis country had to be killed by conservation officers because it had become a risk to public safety. 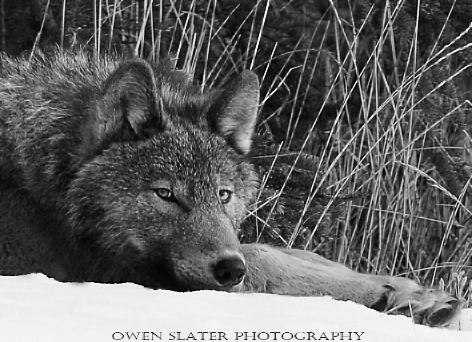 This wolf had been fed by people and developed an association between humans and food. It approached parked cars, motorcycles and bicyclists looking for handouts. It frequented campgrounds and was recently observed running from a campsite with a roast in its mouth. The last straw was when it approached to within a few meters of a man and his son walking in a campground. They were able to get away by entering a bathroom at which point the wolf left. With a food conditioned large carnivore reliant on people for food, there was no other option and it was promptly shot. All because a few people thought that it would be a good idea to give it a few handouts. I have spent more time in Banff National Park this year than any other year and it is abundantly clear that many people think it is Disney Land. 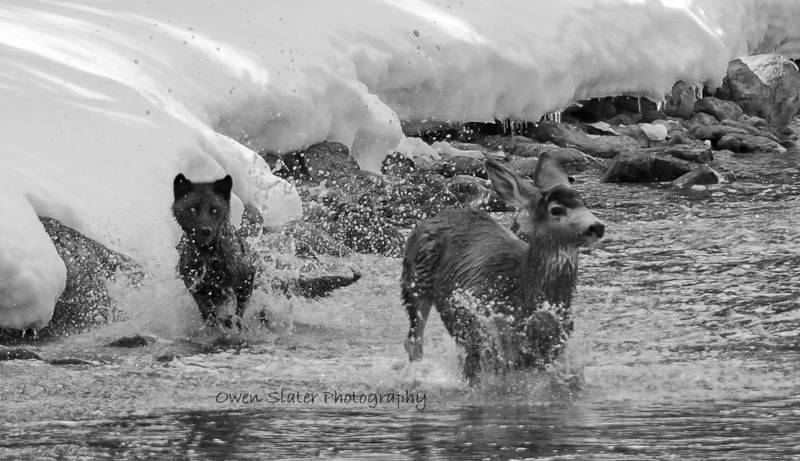 I have seen parents placing their children within a few feet of bull elk to photograph them with these animals. One even tried to place their child on the antlers! Others park in the middle of the road and jump out to photograph bears feeding on plants right next to them. Remarkably, the animals have tolerated this stupidity and simply retreated, often times with people racing after them. Wildlife photographers are also a problem. Several routinely get out of their vehicles and approach grizzly bears with cubs to within 10-15 feet, prompting a bluff charge from the bears. These same photographers have high powered telephoto lenses that enable them to stay back at a safe distance, but this seems to be lost on them. I have seen a professional photographer that proclaims to only obtain ethical wildlife photographs endangering wildlife and motorists by directly blocking the path that the animals are travelling along with his car, completely blocking traffic by parking diagonally across a road and even driving the wrong way on a one way road all in order to get the shot. Its hard to expect tourist that may not be used to seeing wildlife to act responsibly when those that know better set a poor example. Please do your part to help our wildlife survive and reduce the risk that you will get injured while viewing wildlife. Follow the traffic laws and posted speed limits, don’t feed wildlife and view them from a safe distance while allowing them to carry out their natural behaviours. If you see others behaving inappropriately in the National Parks please report it immediately to Parks Canada staff or call 1 888 WARDENS (1-888-927-3367 ). Thanks!